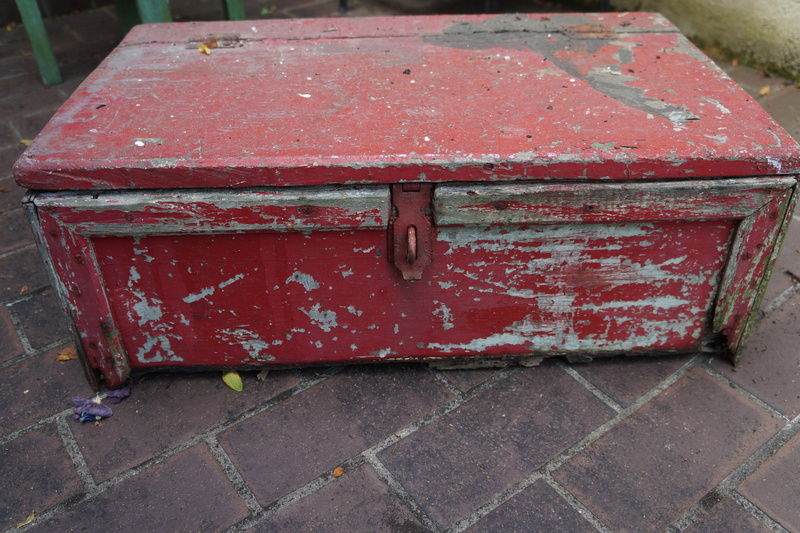 My haul included two tables, an old toolbox, and a window. 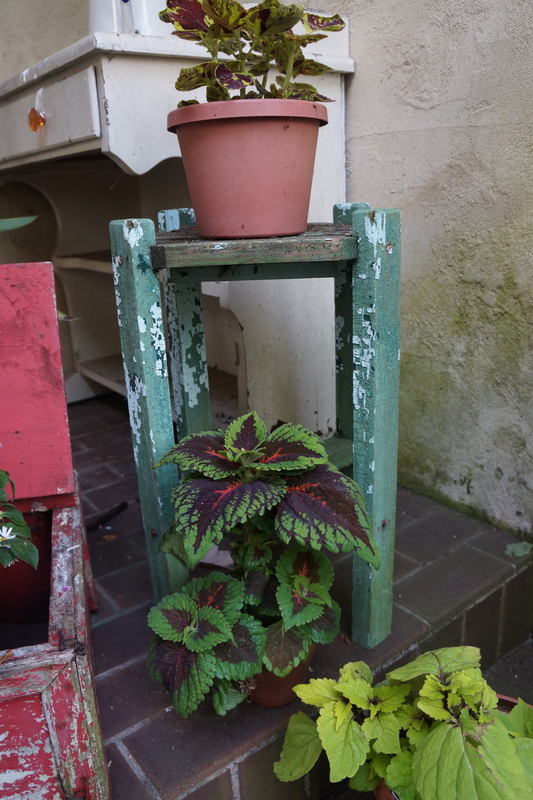 I liked the colors and the varying heights of the pieces as well as the weathered and chipped paint. The only work needed was to clean them a bit and decide how to use them. 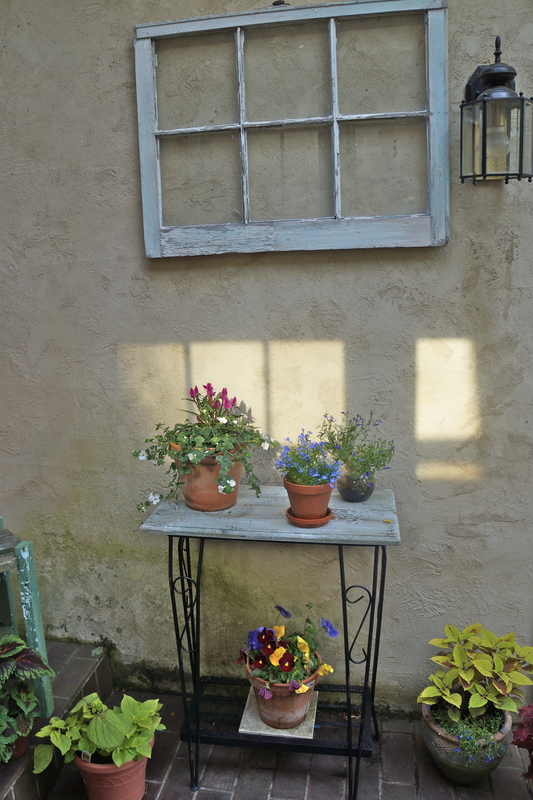 The table looked lonely against the wall, so I added a “window” above it. 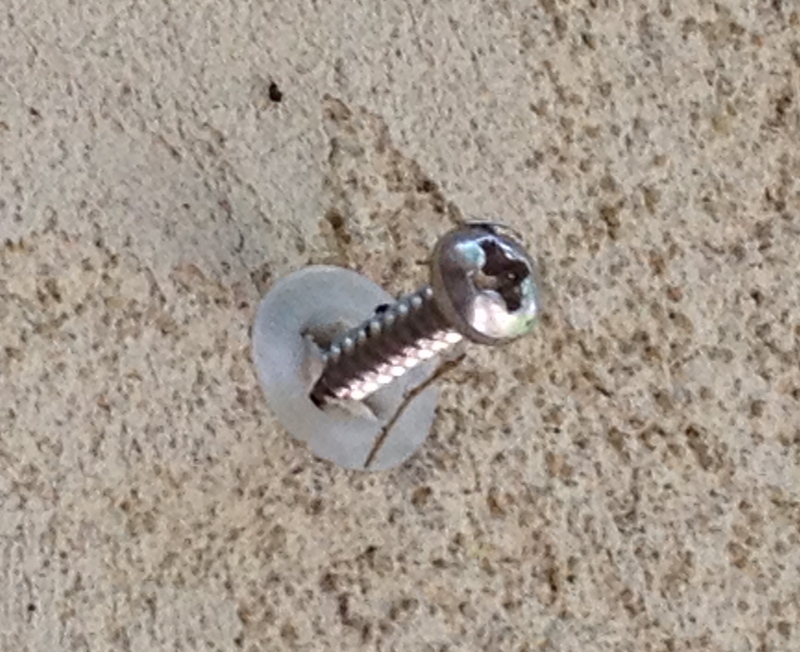 Using an electric drill and a bit specifically for use on brick or cement, I drilled two holes into the stucco then hammered plastic anchors into the holes. I screwed two screws about halfway into the anchors and hung the window atop them. 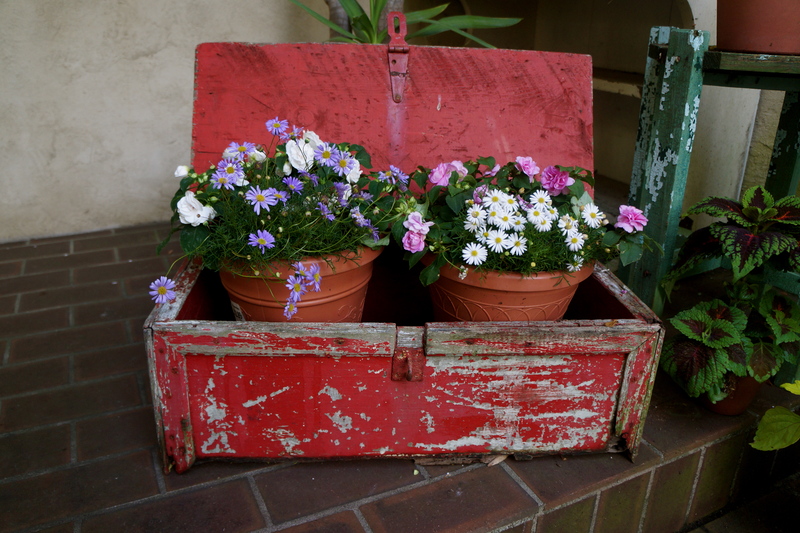 Once opened, the toolbox became the perfect home for two flowering plants. 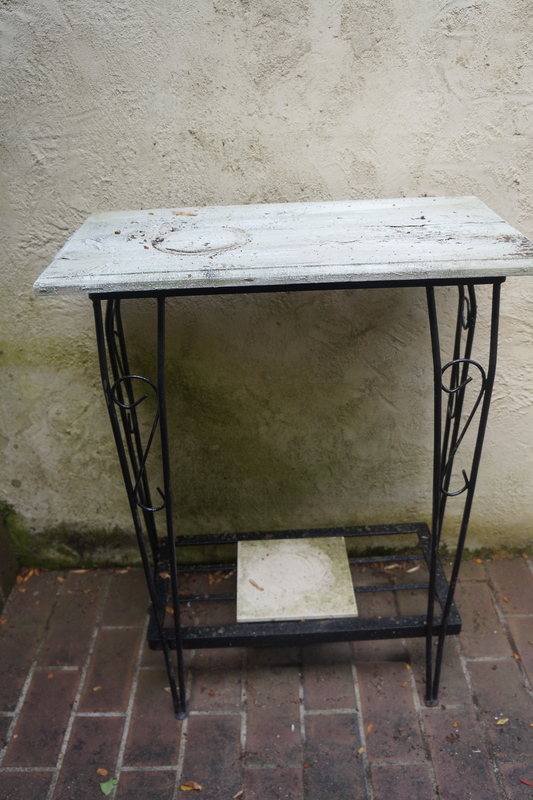 The small green table found a perfect nook between the table and toolbox. 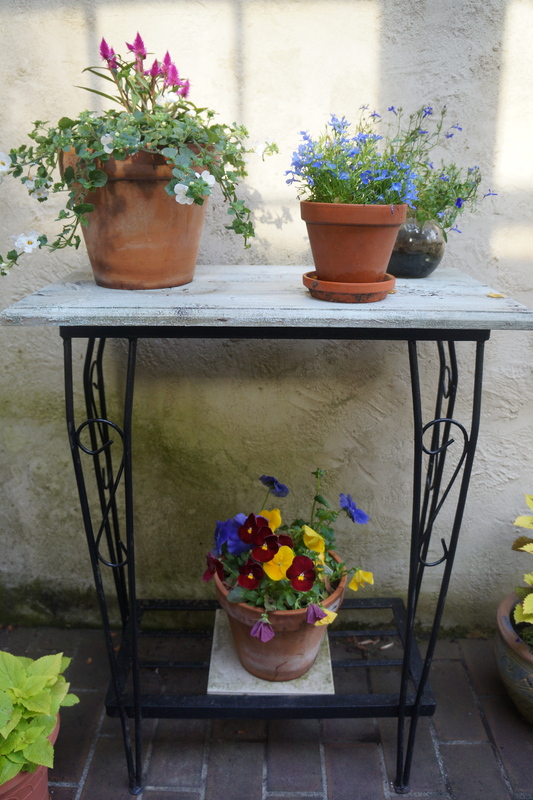 I tucked some additional containers around the vintage pieces to add color. 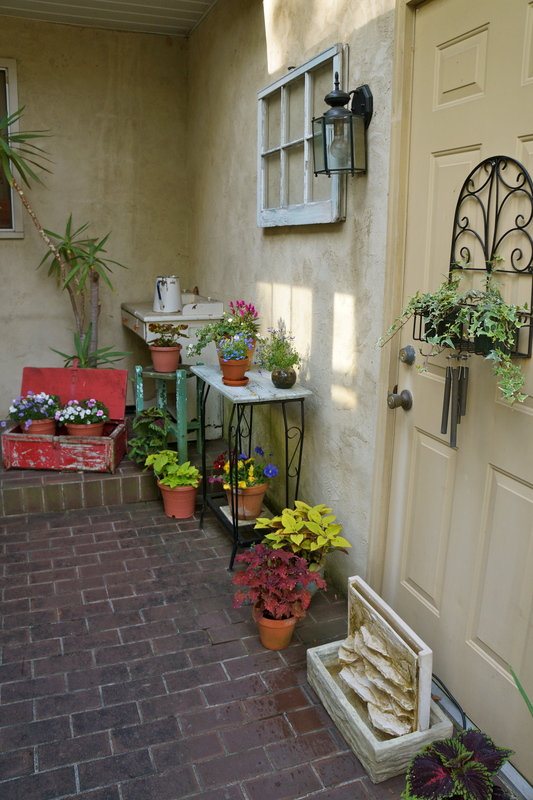 Now the brick patio provides a welcoming walk to the back door with some interesting visuals to admire along the way. 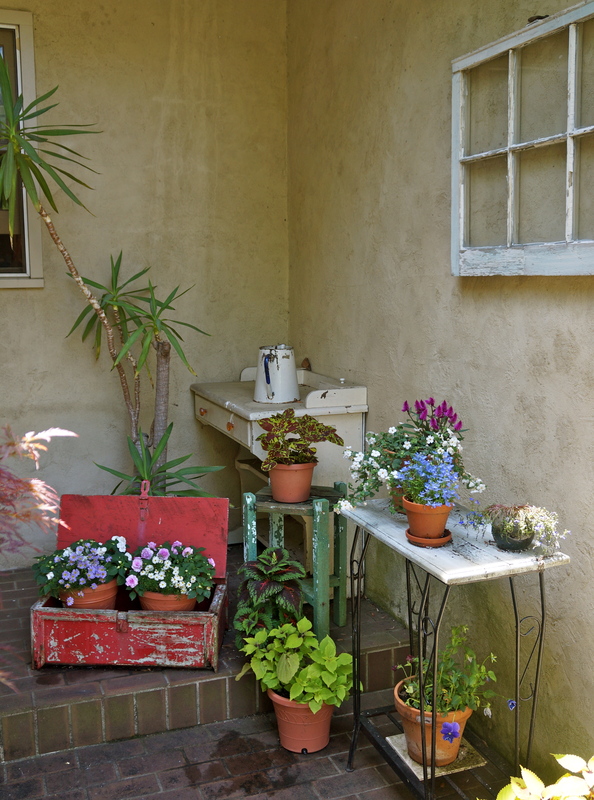 Love what you have done with your blog, and your home is just beautiful.. Carol, your writing is top notch.. So enjoy your site.. Thanks Ro! So glad you are following along. The clarity in your post is just spectacular and that i could suppose you are a professional on this subject.